In this season of Thanksgiving, it is with great pride and gratitude that we present Jewish Family Service of Metrowest’s 2016 Report to the Community. The stories and the data within these pages represent the lives you have touched with your generosity and your involvement. We thank you for your commitment. 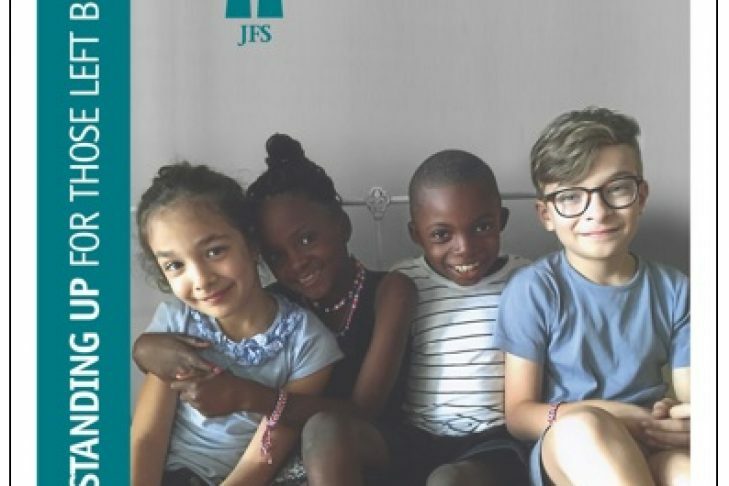 These are the faces of JFS. The distressed families unable to make ends meet; the children needing warm clothes and food; the immigrants striving to become a citizen; the unexpectedly unemployed looking for a job; the elders with memory problems needing accompaniment to doctors’ appointments; the couples and individuals wanting to create a family through adoption; the adult children struggling to take care of frail, aging parents. We are proud of our deep roots in Metrowest/Greater Boston and together we will continue to honor the promise JFS has made to the community – standing up for those left behind. Click here to download the report, or visit www.JFSMW.org.